White eyes are small pas-serine birds native to tropical, subtropical sub-sahara Africa, Southern and Eastern Asia and Australia. 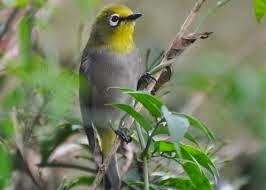 White–eye inhabit most tropical islands in the Indian Ocean. White–eyes are mostly of undistinguished appearance, the plumage being generally greenish olive above, and pale gray below. As their common name implies, species have a conspicuous ring of tiny white feathers around their eyes. They have rounded wings and strong legs and having slender, pointed bills and brush-tipped tongues. The size ranges up to 6 inches in length. They are insectivorous, they eat nectar and fruits of various kinds. They build tree nests and lay 2-4 unspotted pale blue eggs. They constructed the nest within 7-10 days. 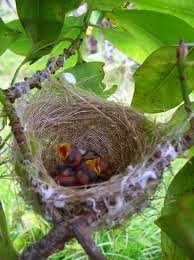 Nests tend to be cup shaped with a diameter of 56 mm and a depth 42 mm. The majority of nests are only used once. 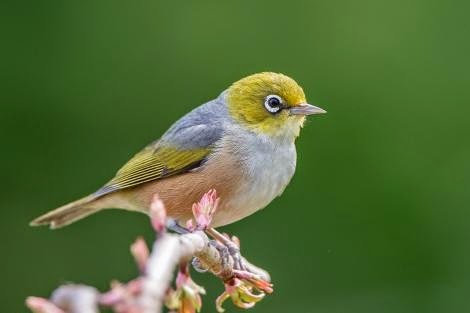 About 100 species of white-eye birds exist in the World. 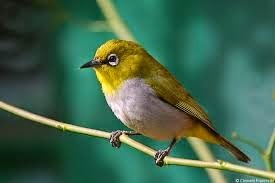 All of the White–eye are short-tailed-winged birds about 4.5 inches long. The bill is fine and pointed, and the tongue is brush-tipped. 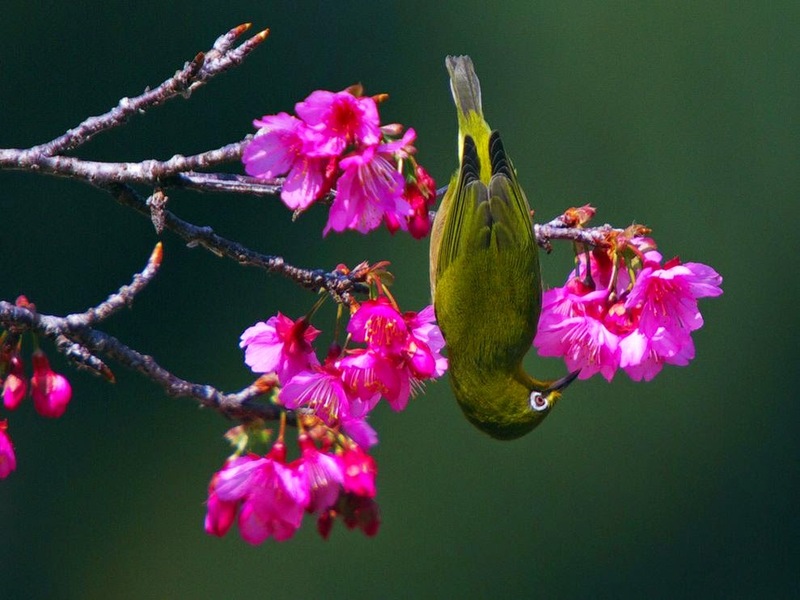 White–eyes are strictly arboreal, feeding on insects, nectar and sweet soft fruits. 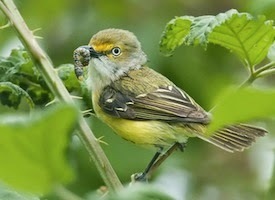 White–eyes are active and, except when tending their cup like nests, highly gregarious. 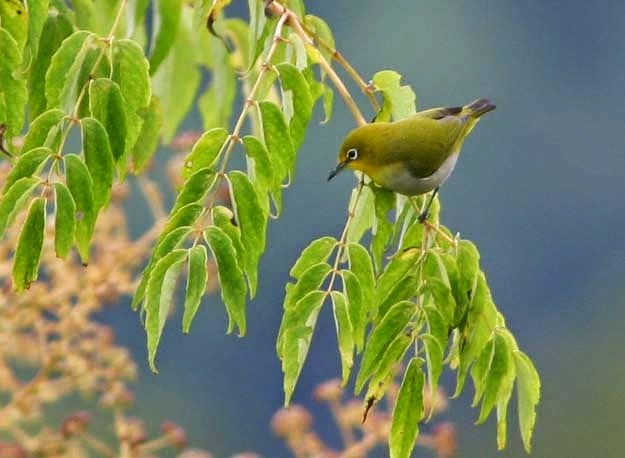 White–eye is an extremely energetic bird that is always on the move. They will hang upside down, and in just about every other position, while foraging for nectar or insects. 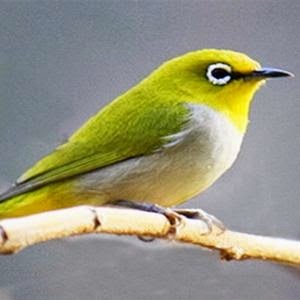 The White–eyes often travel in flocks of 5 to 20 or more. The nest is neatly woven open cup made from grass, plant material, string, tin foil, leaves, mosses, and cobwebs or spider cocoons. 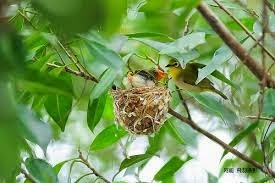 The nest is built in the fork of a tree branch at any height. The bird is extremely territorial during breeding and is rarely found nesting in the same tree as another bird. 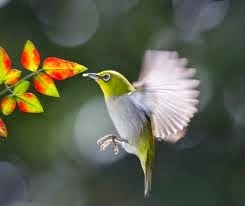 The bird has a long breeding season from February to December, with the peak in July and August.